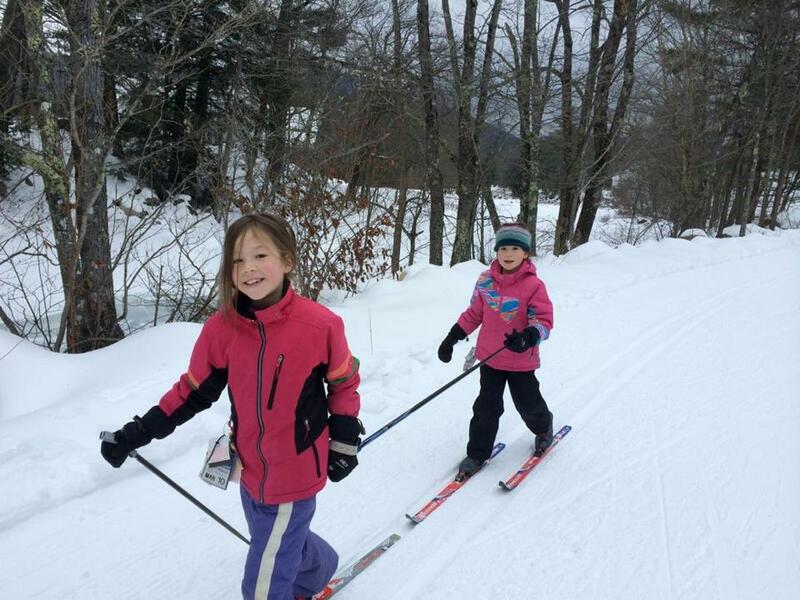 Zoe (left) and Gillian Horner enjoyed cross-country skiiing at Appleton Farms in Hamilton last winter. During the Blizzard of 1978, Carol Catalano was a neophyte Nordic skier attending the Rhode Island School of Design. A Maine native, she put her newfound interest in skinny skis to use after the snow piled high. Appleton Farms in Hamilton is quickly becoming a popular spot for nordic skiing. 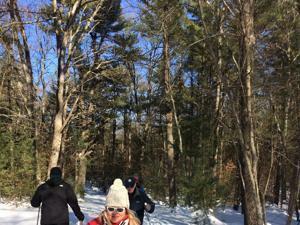 The couple is spearheading a group of cross-country enthusiasts intent on bringing groomed trails to the North Shore, joining other eastern Massachusetts locations such as the Weston Ski Track and Great Brook Farm State Park in Carlisle. “Tom and I started this effort six weeks ago,” said Catalano in late December. “Judging from the response we’ve gotten, there is demand from a diverse range of people and ages. The nonprofit North Shore Nordic Association has received permission to groom trails totaling more than 20 miles at Appleton Farms and Grass Rides, a Trustees of Reservations property, as well as Bradley Palmer State Park and the Pingree School. “We’re working on getting the word out to raise money to buy the equipment and get started this year,” said Catalano, 58. “Having Craft Sportswear come on board early as our primary corporate sponsor has been very important for our credibility.’’ She said the Beverly-based firm committed to matching donations made in 2015 up to $5,000. For Eric Schenker, Craft Sportswear’s 42-year-old chief executive officer, the partnership made perfect sense, from both a personal and a business perspective. “I’ve been Nordic skiing since I was a kid growing up in New Hampshire,” said Schenker. “As an endurance junkie, there is nothing better in the winter than” the sport. Add another $5,000 matching grant from Brotchie Capital Management, and the Catalanos’ fledgling group is financially flush. Carol Catalano estimated the group needs $25,000 for capital costs, and $7,000 for annual operating costs. According to a 2015 industry study, said Schenker, Nordic sales rose 15 percent in a year, led by a 28 percent jump in sales to women. Overall, the Outdoor Industry Association estimates that 4.3 million Americans ski at least once a season. Hamilton’s Bob Carroll, an association board member, exemplifies that support. Board member Ernest Ashley of Wenham said the association has embraced the multi-use trail ethic. The group bought an Arctic Bearcat snowmobile and is halfway toward its $25,000 capital goal.